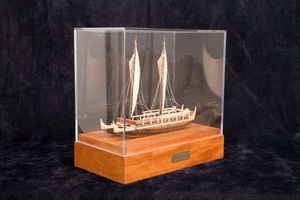 Undisputably the most famous canoe scale modeler of the State of Hawaii, whether that is building a model of the famous Hokule’a or any other Polynesian canoe. Some of his larger work is on display at the Polynesian Cultural Center, Lai'e, Hawaii. Some, amongst others the Hokule'a model illustrating in my profile, are gracing the lobby of the Four Seasons Hotel Resort at Manele Bay, Lana'i, Hawaii owned by Larry Ellison. 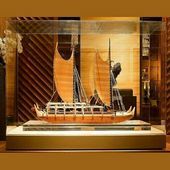 In 2017 Francis was commissioned by the second largest bank of Hawaii , the BANK OF HAWAII to craft a 36 inch long scale model of Hokule'a. This model is now decorating the lobby of this bank's central branch in Honolulu. In 2018 The Bishop Museum, Honolulu, commissioned Francis to build 2 specific Oceanic canoe models. Francis Pimmel's work was featured nationwide on MODERN MASTERS by HGTV. Francis is a professional scale modeler since 1991.